a Great Selection of Sheds for Every Need! 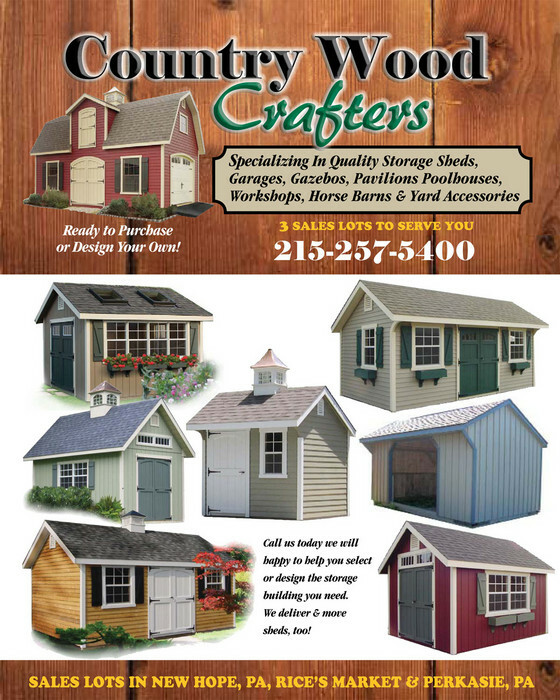 Call Country Wood Crafters Today! For your payment convenience we accept checks, cash, Discover Card, Master Card & VISA. We Have 3 Convenient Sales Lots! Go to Our "Sales Lot" Page for Hours & Locations.